I have the distinct honor of welcoming you to the official website of the Embassy of Benin to the United States of America and would like to express my appreciation for your interest in our services. The relationship between Benin and the United States of America have been longstanding, strong and multidimensional. Today, the cooperation between both countries is showing more momentum in all areas. Besides, cultural and human exchanges are growing rapidly for the well-being of both peoples. As the Government of Benin has decided in its ambition to transform cultural tourism into a solid leverage for the country’s development, it is time that the political and institutional stability, which ensures the safety of foreign investment flow and the movement of people, that we enjoy unquestionably feeds through to the strengthening and development of that collaboration and those exchanges, as we are conscious of the role and importance of the United States of America with its population of roughly 325,000,000 inhabitants. 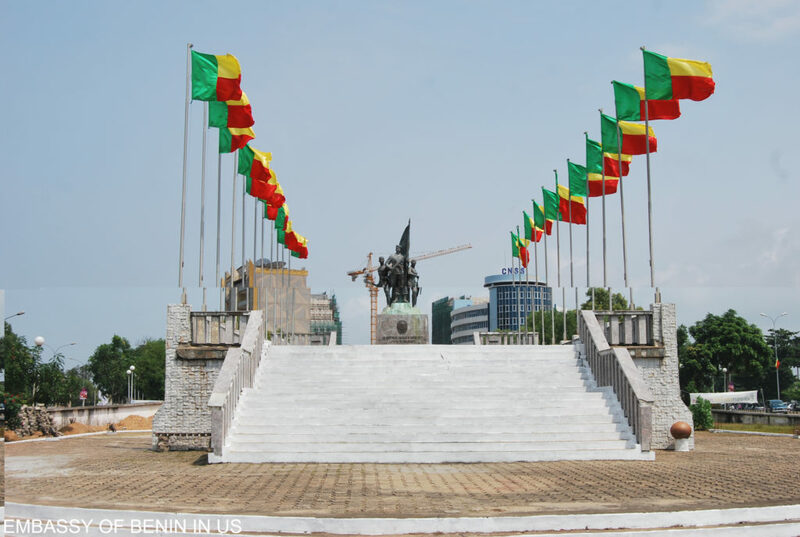 Our website, which is intended to serve as a showcase for the cooperation between Benin and the United States, is designed to inform you about the services and resources of the Embassy in the political, cultural and economic areas as well as investment opportunities. Thus, there are links to our various services. This website will provide you also with all the information needed for consular issues regarding both the Beninese diaspora and foreigners who wish to visit our country. Depending on your needs, please contact our services which are at your disposal in the service of the cooperation and friendship between Benin and the United States of America.